I have always loved old houses. They seem like works of art compared to their modern counterparts. Take for instance, the roofs - instead of a sea of boring asphalt shingles, many historic homes boast a variety of scalloped-edged tiles, rows of different colored shingles, proud turrets, cupolas or brackets, depending on the style. 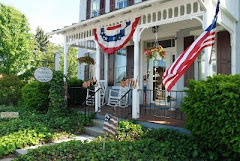 Our inn is a Federal home of 1848, with a no-nonsense, balanced approach. When we replaced the beautiful diamond-patterned roof (made of concrete-asbestos tile that had lasted 80 years) we opted to save the snow guards. I had always seen those on historic buildings and thought they were pretty. In the last five years, we’ve replaced three of our porch roofs as well with metal, standing-seam roofs. For some reason, the roofing company neglected to ask us about installing snow guards – or maybe it was that bad B word – the “budget” that made us skip them. Whatever the reason, we quickly learned that snow guards are not only decorative but serve a very important purpose. We don’t get a lot of snow in Lancaster County, but about once a year we are almost assured a decent snow. It was then we learned the lesson that the snow guards taught. Because we had new smooth surfaces on which the snow could accumulate, and then the sun could melt, the areas between the seams formed massive glaciers. The side porch was particularly dangerous. The morning sun would heat up the roof and, just about check-out time, would discharge a massive avalanche onto guests as they were departing. It was uncanny that the roof would release its glaciers just a moment before or when guests walked under it, causing snow and ice to block the sidewalk, or actually hitting guests in the head. They could be heard screaming and protecting their hair with purses. And we were forced to shovel several times a day to keep up with the accumulating snow. – frequent guests at the inn own their own roofing company in New Jersey. And so they came to our rescue and installed the guards on the three roofs, guaranteeing no measurable amount of snow for probably the next three years. No matter. I still think they look pretty! So if you find you need some snow guards, give Paul a call at the number above, and tell him that Jan and Bruce from The Artist's Inn sent you! 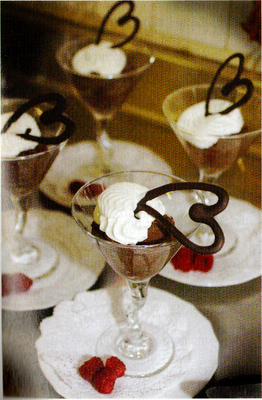 We have some very romantic guests at our Bed and Breakfast....here are some of their ideas on how to make your Valentine’s Day (or any other day) a special one. 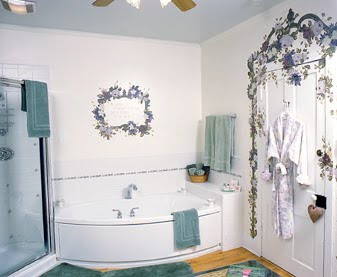 1) Men often call and order special flowers to be placed in the room so that their partner sees them when she arrives. I’ve seen everything from two dozen red roses, to a simple bouquet of yellow daisies. Both were greeted with a sweet “ohhhhhhhh”. 2) While a romantic dinner out is wonderful, couples who are looking for extra privacy really like our Lover’s Basket – stuffed with crusty bread, cheeses, fruit, crackers and chocolate. It’s perfect for sharing on their private porch or in front of their fireplace. 3) Several women have called to see if we can have a special CD playing upon their arrival. There’s nothing like music to put one in a romantic mood. 4) If a couple is spending their wedding night at the inn, usually the groom will arrive earlier in the day to bring in some of the luggage and his special gifts for his bride. 5) Dave wanted to propose to his girlfriend at sunset, so we arranged for a bottle of bubbly and chocolate-covered strawberries on the little porch at the top of the inn – with a perfect view of the sunset. When they checked in, he couldn’t wait any longer and ended up proposing just past 4:30. No matter, they were both so excited I’m not sure they saw the sunset that night. 6) We had one couple get engaged at our breakfast table. Instead of the usual “Bon Appétit” on the bottom of the menu, there was a proposal to Selena from Paul. When Selena was asked to read the menu, she started to cry, and Paul went down on one knee and asked her to marry him. 7) One couple told us that they go to sleep every night holding hands. 8) Many couples take walks together – they say it’s something they rarely do at home, but the world seems to slow down when they are on vacation, or maybe it’s just the magic of Terre Hill. 9) Some couples spend the day watching movies in bed. This is a luxury that doesn’t happen when kids, jobs and housework seem to demand much of your time at home. 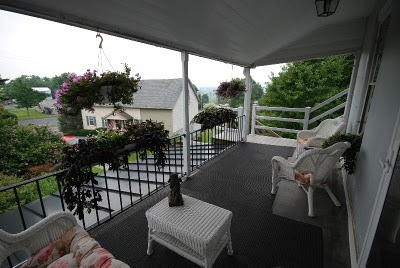 10) We recommend sitting on the porch and talk and watching the moon rise and the stars come out at night. 11) Go to a gallery or art museum together and learn why your mate likes certain pictures. 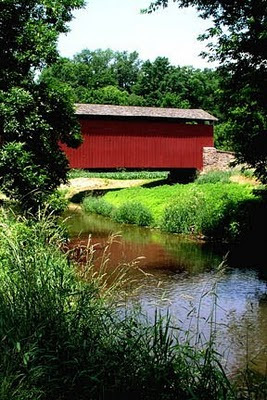 12) We tell all couples to kiss in the middle of a covered bridge – it’s good luck! 13) Go antique shopping – it’s not like going to the mall – you never know what you’ll find. 14) Take a buggy ride through the countryside. 15) We have had honeymooners ride their bikes to a nearby park and enjoy a picnic lunch. 16) Read a book to each other while snuggled up on the couch. 17) Cross country ski (or hike) and come back to the inn to shower together. Ok, we’re not really sure if our guests do this, but we do! 18) Some couples share a wine tasting and fall in love with not only each other, but some of the local wines. 19) Join us for one of our culinary tours – it’s a day to spend together without the hassle of driving – we even toasted one honeymoon couple by clanging the spoon against the glass so they would kiss! 22) Explore a new food together – whether it’s German, Amish, Thai, Italian, Vietnamese or Cajun – we can steer you to the right place to eat. 23) Take a walk in the rain.....or snow! 24) Get a couples massage – our massage therapist lives right next door to the inn, and our guests love her. 25) Take a yoga class together – we highly recommend The Yoga Place in Ephrata. Some would say that the visit to a B&B alone is romantic – and they would be right. Special care is taken to decorate rooms so that each one is different, and many antiques lend themselves to the sentiments of bygone days. Breakfasts are also different at bed and breakfasts – usually on a more private scale than at a large hotel, and much, much more leisurely. We serve four courses by candlelight. If you need a little help with romance, we’ve made it easy for you here at The Artist’s Inn, - Romance baskets, My Forever Valentine Basket, Lover’s Baskets, Anniversary baskets and others – are all available on our specials page. And remember, Valentine’s Day may only come one weekend a year, but romance never goes out of season. What are your favorite romantic ideas? Let us know – post your comments! Guests often ask me, “So when do you get away? And do you stay at a hotel or B&B?” I smile and usually admit that it’s a rare occasion that I leave the inn, but just such an opportunity arose this week. 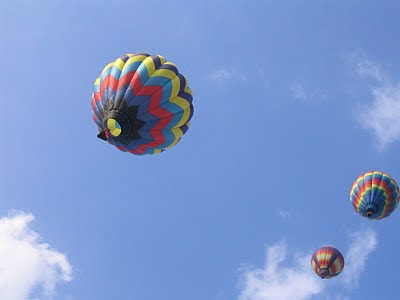 I attended the Mid-Atlantic Innkeeping Conference held at The Homestead in Hot Springs, VA. While I normally frequent other bed and breakfasts, my second choice is always an historic hotel. My love of history seems to pull me there, and this impressive grand old hotel has many charms. The minute my foot landed on the marble steps of the front portico, I could feel the history pull – almost expecting my shoe to disappear into a high-topped ladies’ boot of 1901. The massive wings of this brick and building curved forward in both directions, almost enveloping you in their arms. I was most impressed by the beautiful marble and tile underfoot, and the massive carved columns and majestic lights overhead. Furnishings are all coordinated and the designers touch is here, to be sure, but the workmanship that this building demanded and the fact that it took five years to build is what impressed me most. I’m not saying that I don’t stand in awe of the engineering needed to build shiny new superstructures that reach to the sky, but the buildings of old are the ones that tug at my heart. They speak of a sacrifice we can scarcely comprehend – what it must have taken in time and labor to build a grand hotel in the middle of the mountains, with the vision of catering to folks who would come here to relax and take to the waters. I thought it was the perfect place to hold an innkeeping conference - what better place to learn about hospitality than an inn originally built in 1766? It has stood the test of time, reaching out to weary travelers through three centuries, surviving a Civil War, a Great Depression, and our current economic situation. So what are we to learn here? Perhaps the lessons of history are that people, from all walks of life, through the years, are the most important part of an inn. That time today is no less valuable and precious than it was two hundred and fifty years ago. That people need to get away now and then to slow down and take time to be grateful for our role in life – whether that is the important work of raising a family or contributing to the welfare of mankind. I came away from The Homestead thinking that every innkeeper should strive to give each guest special attention and respect. Though today’s world demands that innkeepers spend time on the latest technical gadgets, and that we now must be concerned about social media, websites and management programs, the basics still count as most important. After 13 years in the bed and breakfast business, I am supposed to be burnt-out. They tell me that seven years is the limit. Yes, there are days when I am tired, or overwhelmed at the amount of work that needs to be done – whether that means a pile of laundry or trying to change something on the website. But here’s the thing that makes it all worthwhile – the smile that is the same the world over and throughout history – whether it’s on a child’s face from England, on a couple from Tasmania, or on the repeat guests from Delaware who have become close friends. I feel privileged because they all walked through my door and enriched my life in some way. It is my reward as an innkeeper – and what makes my heart beat fast. The Homestead was a study in graciousness. From the smile of the Jamaican man at the front desk who was studying hotel management, to the waiter that remembered what kind of tea I liked, to Traci, our dinner server, who told us about her nephew that just made the Olympic team. To sit in the lobby while someone attends the fire, another person plays the grand piano and yet another serves you afternoon tea takes you back to an earlier era when people scheduled relaxation as part of their day. That is the feeling that I hope to create at my small inn, a 160-year old Federal-style home in Terre Hill. And though it is only a fraction of the size of The Homestead, I’m grateful to be able to provide a place where people can celebrate their relationships with each other, create memories, and slow down to relax. What I re-learned this week is that it’s important to be real, to be yourself, and to share the history and beauty of a place I call home.....Lancaster County.